“When Detective Constable Connie Childs is dragged from her bed to the fire-wrecked property on Cross Farm Lane she knows as she steps from the car that this house contains death. It is my great pleasure to welcome you to my stop on the A Patient Fury blog tour. A Patient Fury in the third book in the DC Connie Childs series and is absolutely flipping amazing. I LOVE this series. I reviewed the second book, A Deadly Thaw earlier this year and gave it an easy five out of five stars. If you missed that review or would like a reminder then please click here. This meant, of course, that the third instalment had a lot to live up to. And oh my gosh, I am absolutely thrilled to confirm that it managed to blow my socks off! What a brilliant book! The first thing you should know is that DC Connie Childs is fast becoming one of my favourite fictional detectives. She’s so wonderfully driven, so beautifully intense and so very flawed. I can’t help but be drawn to this headstrong, feisty woman and her very human faults. The opening chapter is brilliantly written and there was no way on this earth anyone was going to prise A Patient Fury from my hands. I was hooked and I couldn’t stop myself from becoming totally engrossed in the story. It was a joy to return to Bampton in Derbyshire (if you’ve read my previous review I can confirm that I now know exactly where Derbyshire is, doh!). Being reunited with DI Francis Sadler once again was a wonderful thing. I felt DI Sadler played a much bigger part in the story this time around and I found out a lot more about him. His relationship with DC Childs can be a little fraught at times but that friction makes for excellent reading. On the one hand, he’s her superior, on the other he’s a father figure keeping an eye on the fiery young detective. Brilliant! The plot was full of twists, turns and intrigue. I enjoyed the flashback sequences and grew to despise the character of George, the rude and obnoxious son of the victim. All of the characters at some point felt as though they had a lot to hide which absolutely made this book for me. I couldn’t have, or rather wouldn’t have put money on the culprit despite all of the signs pointing in one definite direction. Would I recommend this book? Absolutely. It can be read as a stand alone so don’t worry if you haven’t read the first two books in the series (although if you get the chance, then do!). I love DC Connie Childs. I particularly like her when she’s breaking the rules and undertaking an investigation in her own time, which she *may* end up doing in A Patient Fury. Honestly, my favourite crime series out there at the moment and I urge you to get yourself a copy of A Patient Fury. You won’t regret it. Sheer brilliance. I chose to read and review an ARC of A Patient Fury. The above review is my own unbiased opinion. Crime fiction is in my blood. From Enid Blyton’s The Famous Five to Carolyn Keene’s Nancy Drew, I was reading the genre at an early age. In my teens it was Agatha Christie followed by Ruth Rendell and PD James. Later influences include Sara Paretsky, Sue Grafton, Minette Walters. Then I discovered Scandinavian crime writers. I’m the author of two crime novels In Bitter Chill and A Deadly Thaw which are set in the Derbyshire Peak District where I live. A Patient Fury is coming in September. 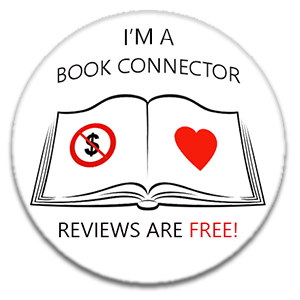 I post my book reviews here on Crimepieces and have also reviewed at the Los Angeles Review of Books, Crime Time, crimesquad.com and Eurocrime. Articles and short stories have appeared in the Sunday Express magazine, Metro, Big Issue, Traveller and other publications. I’m one of the judges for The Petrona Award for the Best Scandinavian Crime Novel and I particularly love reading translated crime fiction. In addition to writing and reviewing I also teach crime fiction workshops, moderate book events and give talks on Nordic Noir, Golden Age Crime and other aspects of the crime novels. I can be contacted about any of these areas via my contact page. I’m represented by Kirsty McLachlan at DGA. I’m looking forward to reading my copy even more now I’ve read your review – sounds fab! I really enjoyed the first two books as well. Great review. Hope to read this one too sometime. Great review – thanks for the recommendation!